The subtle ridges of the Nail Polish Bottle Caps facilitate the hassle free usage from the client’s end. These are available in numerous attractive colors. 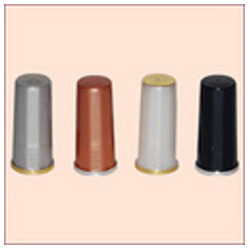 These can also be availed in various sizes as per the needs of the clients. The caps are scratch free and fit the container tightly.